When you book with MH Signature Journeys, we elevate every trip and you gain access to a world of personalized travel experiences. Plus, you’ll get exclusive amenities and upgrades only offered to Virtuoso travelers. We are a boutique agency dedicated to creating unforgettable travel experiences. We know how to get the best value for our clients and, thanks to our global connections, we can VIP you at hotels, cruise lines, on tours and more. If you dream it, we can get you there: river/ocean cruises, groups, escorted and custom tours, family & multi-generational travel, villa rentals, safaris, wine tours and more. 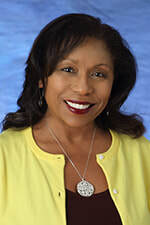 Meet Michelle Woodson Howell, your Luxury Travel Advisor. Growing up in the diplomatic corps, she had the privilege of traveling all over the world from an early age. As a former ambassador’s daughter, she lived in a diverse assortment of places, including London, England, Kingston, Jamaica, Mogadiscio, Somalia and Rome, Italy. She’s also visited more cities than she could possibly count. These experiences shaped her love and passion for travel, food, wine and art. In 2003, Michelle experienced a personal tragedy that inspired her to share her passion for travel with others. Her philosophy: Life is short. You’re not promised tomorrow. By working with you as your Luxury Travel Advisor, she’s able to fulfill her passion of helping others make the most of every moment. Michelle’s goal is to use her personal experience and connections to provide exceptional service, exceed your expectations and ensure your trip is everything you envisioned – and so much more. MH Signature Journeys is an independent affiliate of Travel Experts, a Virtuoso Member agency. This affiliation allows us to provide the exclusive access, upgrades, amenities and promotional offers to you that you won’t find anywhere else. Meet Megan O'Donnell, your Client Care Manager. Megan lives in Wilmington with her husband and twin girls. She enjoys traveling, and has been to almost every state in the US, as well as a few stops in the Bahamas, Mexico, Canada and, most recently, Iceland. She enjoys boating on the Chesapeake Bay with her family, listening to music and reading a good book. We’re also a proud member of Cruise Lines International Association (CLIA) the worldwide trade association for cruise lines. We don’t compete with online sites for the lowest price and minimal expectations. We know how to get the best value for our clients and, thanks to our global connections, we can VIP you at hotels, cruise lines, on tours and more. Ready to plan your next journey? Call us today at 302.442.0225 or 800.552.6103.